The rather unsurprising headlines have just come out declaring Pope Benedict XVI’s poor health condition as people who have recently come into contact with him have commented on how much “thinner”, more “tired” and “weak” he’s been looking, to the extent that he has now started using a moving platform to assist his lengthy walk down St. Peter’s Basilica. The Vatican has tried to downplay it all, but you and I both know full well who’s ominous bony hand stretches for men who near their 88th birthday. I’m not a Catholic myself, but a strong defiant of the Second Vatican Council, which, through its attempts of modernization, have crossed the forbidden threshold of God’s established word and changed His laws, so this is in no means a tribute to Pope Benedict XVI, but rather the observation of yet another ticking clock synchronized with the grand countdown on God’s prophetic timeline to measure the remainder of human history. These kind of clocks start ticking as soon as prophecy is fulfilled, such as the current predicament in the Middle East and other various biblical signs marking the end of days. To understand how the papacy became one of these clocks, we must first look back at Saint Malachy, the first Irish Saint in the Catholic Church and a man of many accurate prophetic visions, one being the exact date of his own death on November 2nd, 1148. 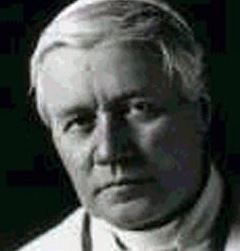 Over time, Malachy became the subject of intense interest as, one by one, truth and accuracy illuminated his most notorious prophetic writings of what the identities would be of the last 10 Popes before the end of the world, declaring the total number of Popes as being 112 by world’s end. In his prophecy, the first of the last 10 Popes was to be called The Burning Fire, which has been fulfilled by Pius X, who had a notably burning passion for spiritual renewal in the church. The second Pope was to be called Religio Depopulata, or Religion Laid Waste, which was c learly fulfilled by Benedict XV, who reigned in a time when Communism flooded over Russia and drowned out religious life, as well as World War I, which propelled the carnage of Christians. 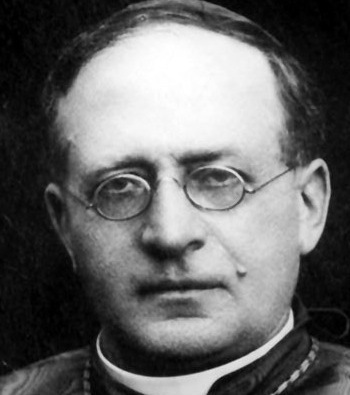 The third Pope was to be called Unshaken Faith and was fulfilled by Pius XI, who was an outspoken critic of Communism, enraging Hitler and triumphing in the face of tremendous pressure against Germany and Italy’s fascist evils. 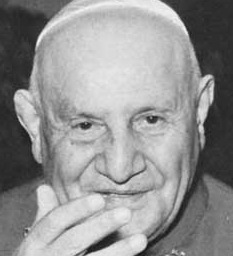 The fifth Pope was to be called Pastor et Nauta, or Pastor and Mariner, fulfilled by John XXIII, who was a much beloved patriarch of Venice, thus the connection to “mariner”. Apparently, during his conclave, Cardinal Spellman, having taken Malachy’s prophecy literally, sailed up and down the Tiber in a boat filled with sheep. The sixth Pope was to be called Flos Florum, or Flower of Flowers, and was fulfilled by Paul VI, who’s coat-of-arms likewise depicts three fleur-de-lis, which are supposed to represent the blossoms of an iris flower. 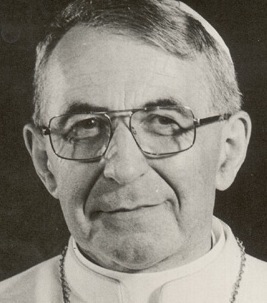 The seventh Pope was to be called De Medietate Lanae, or Of The Half Moon, fulfilled by John Paul I, who’s election fell perfectly on the day of a waning half moon and was born in the diocese of Belluno, meaning “Beautiful Moon”. The eighth Pope was to be called De Labore Solis, or The Labor of the Sun, which was perfected by John Paul II who was the only Pope ever to be born and entombed on days of a solar eclipse. Much like the sun itself, John Paul II, the most travelled Pope in history, never ceased to preach to vast audiences and bring light to the entire world each and every day. Also like the sun, he came from the East, out of Poland, and became the first non-Italian ever elected. Now, the ninth Pope was to be called The Glory of the Olive, said to be the one to reign during the beginning of the final tribulation on earth, as also observed from Jesus, who gave his prophecy of the end of time on the Mount of Olives. Since Malachy’s prophecy has matched up perfectly from 1903 to the present day with the unique identities of the eight previous Popes, the 2005 election of Joseph Ratzinger as Pope Benedict XVI is sure to dub him “Gloria Olivae”. 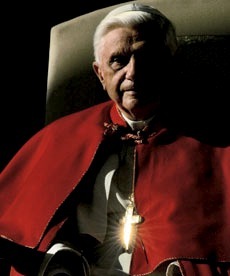 Seeing as the Olive branch is traditionally a symbol of peace, Benedict XVI fulfills his role by emerging in the world as a notable emissary of peace. It should also be known that there is a well-known group within the order of St. Benedict known as the ‘Olivetans’. It was also a prophecy of St. Benedict himself that an Olivetan would reign just before the end of the world. Okay, so that takes us to the present date, a time when The Glory of the Olive, the second last prophesied Pope, seems to be nearing the end of his life. There is only one other, the tenth Pope, who is said to be the one to rule during the final persecution of Christianity. Petrus Romanus, or Peter the Roman, is the yet to be seen final Pope who will, according to Malachy’s prophecy, “feed his flock amid many tribulations; after which the seven-hilled city will be destroyed and the dreadful judge will judge people. The End.” This is an ominous parallel to John’s visions in Revelation of the “Whore of Babylon” in the final seven years of history. Something that immediately caught my attention about this is that the prophecy of the 112th Pope, Peter the Roman, was actually added after the 1820 publication, which arouses the idea that our current Pope may very well be the last before the end of time. This would also mean that Malachy’s original works listed a totality of only 111 Popes, one of the three mysterious numbers that the Lord God, for whatever reason, has revealed to me personally in my search for the truth this past year by allowing me to see it appear in three different places within the same second in time and then open the Bible directly to Hebrews 11:1. 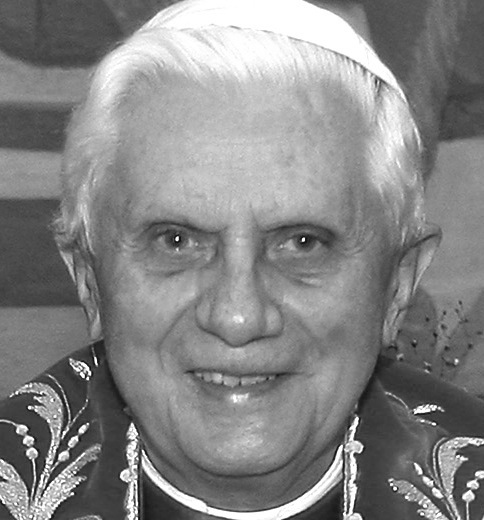 Remembering that this was the year we saw the date 11/11/11, I think we must look at each of the waning breaths of Benedict XVI, the 111th Pope, as seconds on a countdown clock set at the eleventh hour, like the one spoken of by Jesus in Matthew 20. The “eleventh hour” that Jesus refers to in this parable is a colloquial expression meaning “a time which is nearly too late”. Is that where we are in history now? Malachy’s prophecy of the last 10 Popes seems to line up precisely with the prophetic timeline that we’ve been piecing together from the Bible, especially the equation that emerges from the prophecies of Daniel concerning the time of the beginning of the final seven-year tribulation, which goes a little like this: 1948 + 70 – 7 = 2011. For clarity on this, see this article. They say Benedict is already nearly blind and his aides have to regularly hold his elbows going up steps. 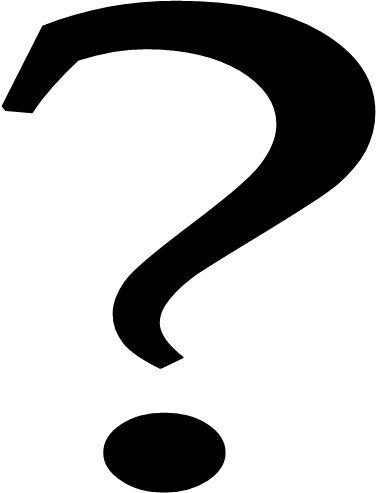 Could this be yet another tick on the clock? I think the big question is, how close are we to striking midnight? In Matthew 25, Jesus likens the last days to the parable of the ten virgins, saying in verse 6, “At midnight the cry rang out: ‘Here’s the bridegroom! Come out to meet him!” Here we are at the end of the year getting ready to celebrate the coming of 2012. Unfortunately for most, God’s clock does not slow for those who stall in indecision, but fortunately for all, repentance and salvation takes only the beat of a heart. May God shine His face on us all in this final hour, amen. There’s that number again, fascinating.